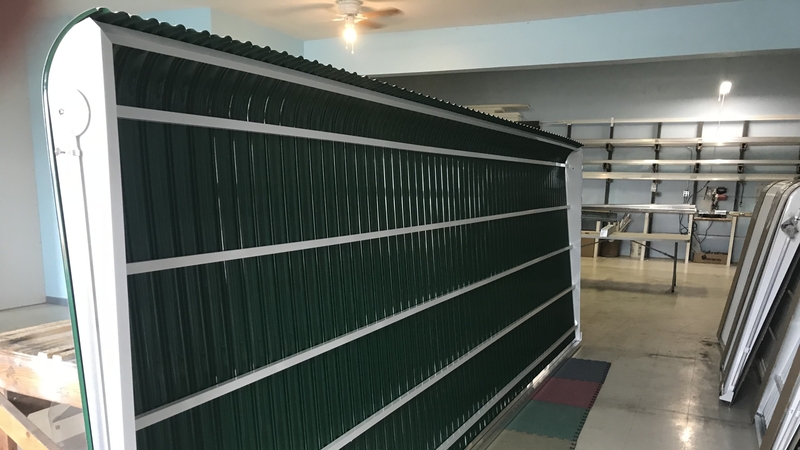 This unique custom design aluminum pool awning was a special request to have dark green color on the underside to minimize glare. The custom awning was installed on the screened porch next to the pool and the dark green reduces sunshine reflection off the water. This Brevard County project was custom designed, built, and installed by us for a homeowner near our Cocoa Florida factory location. For customers who like this underside color concept, we can create a similar custom built awning with any of our standard colors. Interested in our awnings, screen rooms, carports or storage sheds? Call 321-978-5500 today for a free estimate.